Within the settings area of every page, you can update your meta information to help the search engines understand a little more about your page. You can also improve your click through rate (CTR) on the search engines by making this information as enticing as possible, to stand out from the other websites and encourage more clicks. The Meta Description is also used by social media websites in the anchor text. Which again informs people on social media websites a little bit more about your page before they click. Notice any pages where the SEO tag is Red. All pages should have a Blue SEO tag if they are Live or Hidden. Always check this when moving pages from Draft to Live or Hidden. For any Pages with a Red SEO Tag, click the Page Settings Button. When you're finished click Save. The Title Tag and Meta Description is an essential part of content management since it is often used by search engines, such as Google, on the Search Engine Results Page (SERP), to let people know a little bit more about the page before they click. They are also used by social media websites in the anchor text, which again informs people on social media websites a little bit more about your page before they click to your page. CTR - to entice search engine and social media users to click on your page (i.e. improve your click-through rate). You can use up to 60 characters for your Title Tag on Google. If you keep your Tittle Tag below 60 Characters, research suggests that 90% of your title will display correctly. The Title Tag is not just used by Google, therefore it is best to write concise information about the article in the first 15 characters. Google does not use meta keywords, however, Bing may use keywords as a factor in their search engine results page. 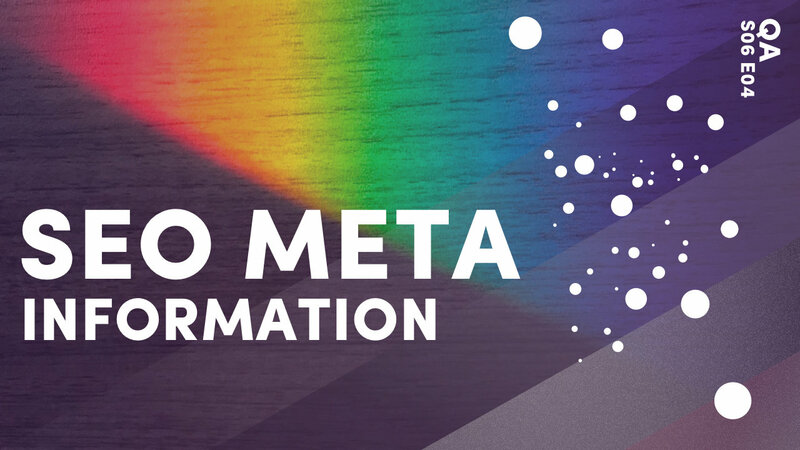 Meta Descriptions can give your competitors explicit information about what you are optimising for and as such, it is better to leave this field blank. 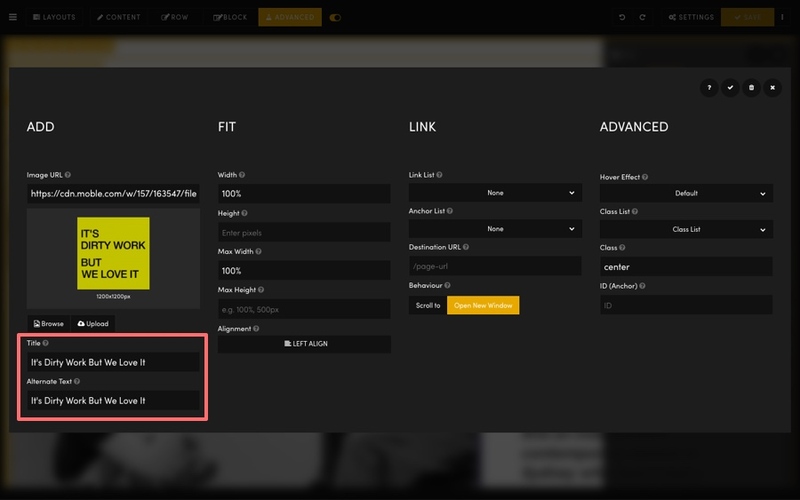 In addition to Page meta information, you can also add meta information for your images and files. The Alternative Text is often referred to as the 'Alt Tag', even though it is not actually a tag. The Alternative Text is used to describe the image when the image is not displayed, e.g. in slow internet connections, to visually impaired using screen readers and also by search engines to understand the image. Therefore, it is important to be succinct and descriptive. In considering Search Engine Optimisation do not try to keyword stuff your Alt Text. The search engines understand semantics, therefore they will value similar words to your main keyword that you are optimising for. Be as natural as possible and do not repeat your Alt Text for different images. While there is no limit to the length of your Alt Text, it is recommended that you aim for 125 characters or fewer. This is less because of the search engines, but more because of restrictions within the popular JAWS screen reader. Many versions of JAWS will break up text into blocks of 125 characters. Be as descriptive as possible about your image or file. This will help the users understand what is being displayed, though it will also help the search engines determine what is on the image, but also to determine the topic of the surrounding text. Search Engines like Google, therefore, place a high value on Alt Tags and this ultimately will assist in the search engines indexing your page. The Image Component showing the Alternative Text. When you browse an existing image the Altenative Text will automatically populate, though you can overide the original Altenative Text here to customise it for each instance of the same image. Thus saving have multiple instance of the image, but giving you the SEO benefit.